With incidences of obesity rising to worrying levels and technology meaning that many of us are sitting for much of the day, it is more important than ever that we try to keep fit in order to keep healthy. There are plenty of ways to be more active during the day, whether exercise is undertaken in a gym or in the home. Keeping fit does not only benefit the muscles, joints and respiratory system, it is also valuable for the health of the mind. Physically, being in good shape means it can be easier to perform actions and carry out activities. Exercise helps to control weight, and improves the appearance of the body, toning and streamlining. Less weight means there is less stress on weight-bearing joints, such as knees, thereby causing less inflammation and pain. Regular exercise improves the cardiovascular system, resulting in greater lung capacity, and can help to prevent diseases or health conditions related to the heart. 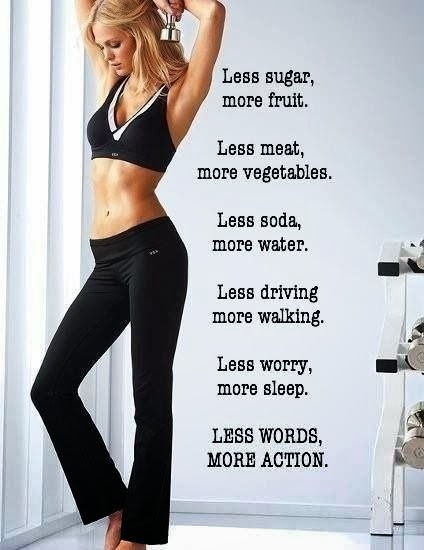 Mentally, a slim, toned body improves self-confidence and exercise has been proven to release certain feel-good chemicals in the brain that improve mood. Recently, exercise has begun to be recommended to those who suffer depression as it can help to alleviate symptoms. Exercise can also work to relieve stress, and provide an opportunity for socializing if conducted within an exercise facility, such as a gym. Some of us, however, prefer to exercise in the comfort and privacy of our own homes. Here, we can dress as oddly as we like, and not worry about our body shapes being judged by others. It is a good idea if possible, to create a room in the home that is kept solely for private exercise. Equipping a room to hold the same equipment as a private gym can be an expensive business. Better to invest in a few pieces of equipment that perform certain functions, for example, a cross trainer that doubles as an exercise bike. Smaller items worth owning include various weight dumbbells and a stability ball. For less strenuous workouts, such as Pilates and Yoga, it is necessary to have a non-slip mat. Some people like to watch themselves exercise, so one wall of the exercise room could be lined with floor to ceiling mirrors. 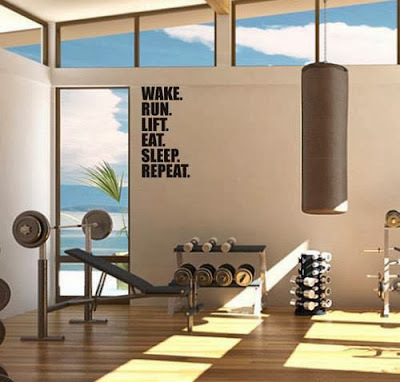 Exercise can be boring, so install some form of entertainment, whether that is a music center or a television mounted on the wall. Include a table and chair for relaxing in after the workout, along with some storage solutions, all of which are available from here. Ensure that the room is well ventilated, as the body gets hot during exercise, and paint or paper the walls in a calming but inspiring color, such as blue or green. Use mats to protect hardwood or laminate floors. It may not be necessary to spend a great deal of money to get fit. There are simple exercises that do not need any equipment. These include walking to the store rather than taking the car, or taking the dog out for a walk. Remember what it was like when you were a child and indulge in some jumping jacks for a good cardio exercise. Tone the thighs and buttocks with some body-weight squats, lunges or leg lifts, and strengthen abdominal muscles with some crunches. This was a Guest Article written by Aimee Claire.